From the Ancient Pyramids to the Eiffel Tower, get ready to take a close-up look at man-made structures. 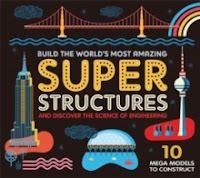 Super Structures is a unique interactive book that not only traces the history but also explores the science behind these incredible engineering feats. In addition, the book is accompanied by a model kit to make the different types of constructions and then conduct tests to see how they work! The Kit includes a 48-page paperback book, pegboard and sturdy, card pieces, plus plastic nuts, bolts and string to make 10 structures. 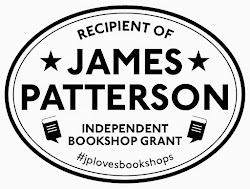 The first title in a unique new novelty series that features lovely hair that the reader can style! 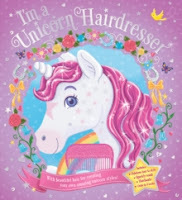 Create different hairstyles for your princess customer on every page by using the glittery plastic comb and hairbands. Will it be plaits or bunches today? A step-by-step guide will show you how to create the looks. A must-have interactive hairdresser novelty book that all aspiring little stylists will want, beautifully illustrated by Karen Wolcott. Ahoy shipmate! Grab your magnifying glass and seek out history's most notorious pirates in this swashbuckling search-and-find adventure, packed with over 200 things to spot! 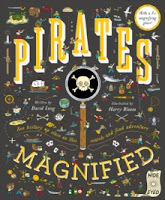 Explore the lives of 10 real pirates and learn about life on the high seas, whilst using the free magnifying glass to spot more than 200 pirate-themed items in each eye-boggling illustration. Kids will have fun using the magnifying glass to search whilst learning about real life pirates in this seafaring adventure! delicious bakes that the family can enjoy together at Christmas. Christmas is a time when families come together. This unique combination of storybook and cookbook, with all recipes and stories devised and written by Nadiya herself, brings families into the kitchen to share this special time of year through cooking and stories. Read Nadiya's version of 'Twas The Night Before Christmas, then cook a scrumptious nut roast. 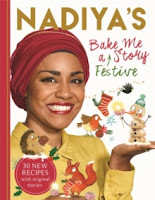 Combining playful photography of Nadiya and her children with vibrant illustrations by Clair Rossiter, this glorious celebration of the joy of sharing food and stories is the perfect Christmas gift.